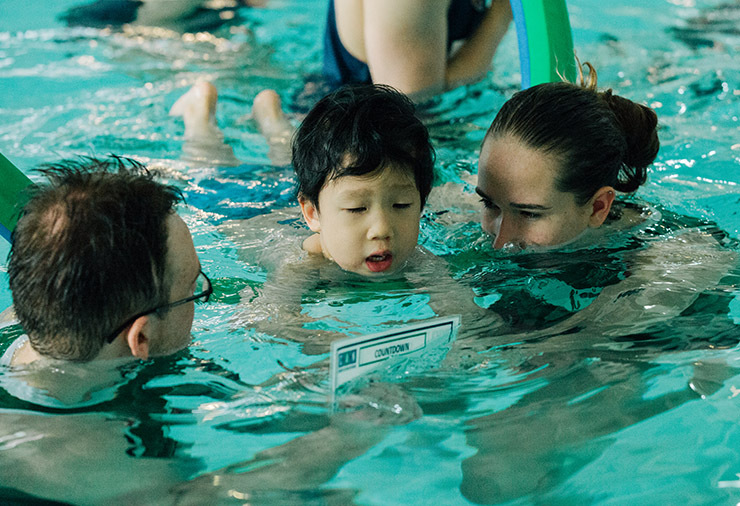 The swim program teaches basic swimming and water safety skills, under the nationally recognized Canadian Red Cross Swim program. 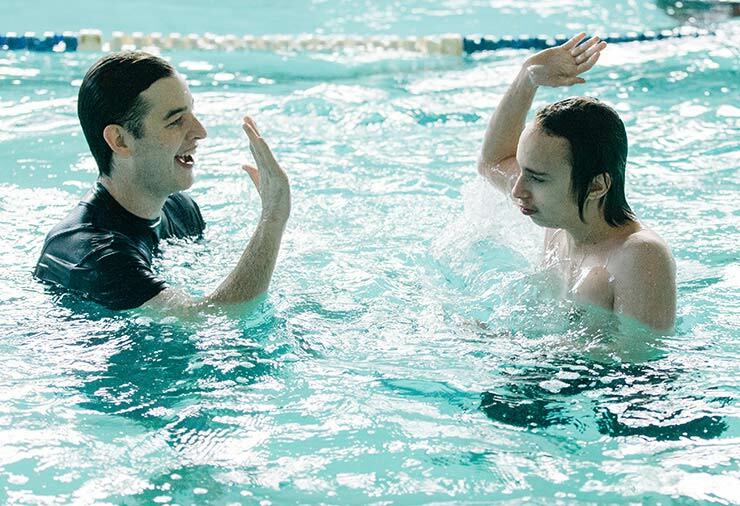 Each lesson consists of a small group of participants with a high ratio of support provided by a certified swim instructor, trained support workers, and dedicated volunteers. Swim lessons focus on water safety, swim skills and fitness, while incorporating games and songs and fostering a fun environment! For more details, please view the Red Cross Preschool Swim Program information page. Each session consists of 30 minute lessons, once per week, for eight weeks. Sessions take place three times a year: In the fall (October to late November), winter (January to early March), and spring (April to early June). Each lesson consists of up to 5 participants who may be split into smaller groups. Participants are provided with a high ratio of support (1:1 or 2:1 available if needed). Swim lessons focus on water safety, swim skills, and fitness. Skills have been adapted from the Red Cross Swim Kids levels 1, 2 and 3 programs. Participants are provided with a high ratio of support. Participants who have completed the Red Cross Swim Kids level 3 program, and would like to further develop their swim skills, are encouraged to access the Red Cross Swim Kids program offered in their community. Swim lessons focus on water safety, swim skills, and fitness. 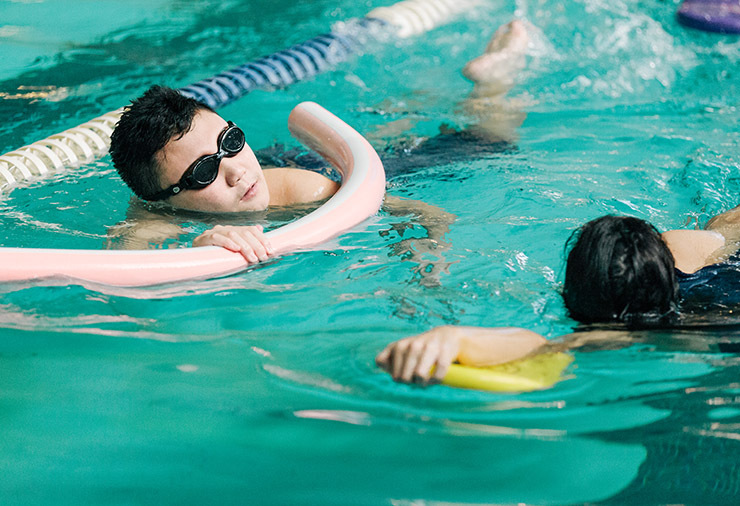 Skills have been adapted from the Red Cross Swim Basic 1 program for teens and adults. Each session consists of 45 minute lessons, once per week, for eight weeks. Each lesson consists of up to 6 participants who may be split into smaller groups. 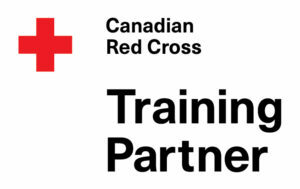 Participants who have completed the Red Cross Swim Basic 1 program and would like to further develop their swim skills, are encouraged to access the following programs offered by Red Cross in their community: Red Cross Swim Basic 2, Red Cross Swim Strokes, or Red Cross Swim Sports. 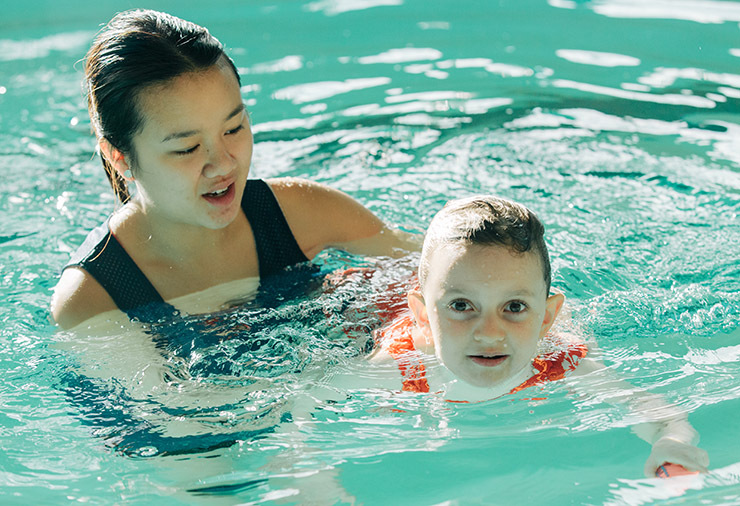 Private swim lessons are designed to support participants with a significant combination of communication, behaviour, and/or health needs. To address increased support needs, a higher level of support is provided than the ratio found in other CAN swim programs. Available strictly at the Vancouver Jewish Community Centre. You can also access our Swim Activity Storybook to help prepare your child for the program. Activity Storybooks describe activities or situations as well as the expected behaviours in a given context using words and often pictures. Participants can read Activity Storybooks prior to engaging in an activity to help prepare them and build predictability.